Cliff Stoll DEFINITELY has The Knack! And he Kluges! The Maker Blog has a nice article on Cliff Stoll, the author of "Silicon Snake Oil" and "The Cuckoo's Egg." I liked Cliff's books and included quotes from them in "SolderSmoke -- Global Adventures in Wireless Electronics." I was glad to see that Cliff is doing well and still tinkering. Be sure to check out the video on his R/C fork lift. FB OM. 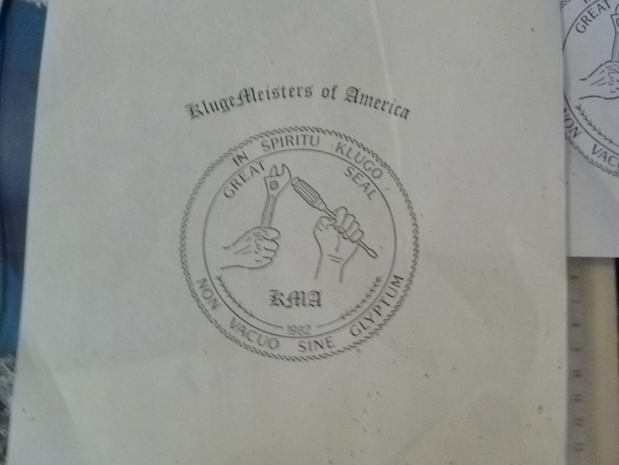 I was, of course, very intrigued by the slide showing the symbol of the "KlugeMeisters of America." Can we get a pronunciation ruling from Cliff? Can we nominate people for induction into the KMA? I know many of you guys have seen this before. And I know that Farhan is tired of seeing it pop up again and again. But it just appeared on my Facebook page today and I watched the whole thing and saw things I hadn't noticed before: There's a Heathkit HW-101 (or maybe its an HW-100). There is a Tech 465 oscilloscope. There is a BTX-20! There are some great pictures of the new rig, and the Beach 40.
class, but I beg to disagree. was receiving & producing a low level SSB on Tx. That is everything to the right of (and including) the Q2 & Q12 stages. so carrier freq is 7160 kHz. the last 2 stages (using BD139s) should be enough. Output maybe 2w. cat this is a radio that lives on its own terms. consumption will be a fraction of what a commercial rig will demand. You can barely see the Arduino board down at the bottom. Above it is a homebrew shield that has the DDS board. On that shield I also put a female header for a small 16X2 LCD board. This arrangement avoids the rats nest of wire that often accompanies these digi projects. This thing had me pulling my hair out yesterday. I couldn't get the display to work. After a lot of checking and re-soldering and testing, I concluded the LCD board was bad. Good thing there is a Microcenter right down the road. I got a new display and my composure returned. Mark, K6HX, over at Brainwagon has been encouraging me to continue down the digital path. 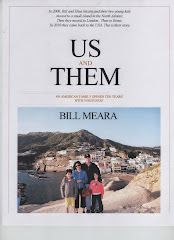 Other SolderSmoke friends are wary of this digitization -- one wrote asking "Where is the real Bill Meara and what have you done with him?" I like the Arduino projects. This little device certainly demonstrates how you can do things with the digi stuff that would be extremely difficult to do with our beloved analog, discrete component circuitry. On the other hand, as I was pulling my hair out trying to figure out WHY the display wouldn't display, I came across an e-mail describing Peter Parker's latest minimalist discrete component rig. Why, I asked myself, had I left the happy land of understandable circuits? Why had I allowed myself to be sucked in by the siren song of Arduino? I guess it is good to try something new, to learn something, to get out of your comfort zone. But excuse me now -- I'm going to fire up my 17 meter analog discrete component rig. The one with VXOs in both the receiver and the transmitter. But I'm going to leave the Arduino DDS on -- I like looking at the display. I have a JUMA TRX-1 cw and dsb transceiver. It seems to me that if I transmit an psk signal there would be two signals generated, one on usb and another on lsb. Is this correct? It does not seem like a good thing to do to me. I've been experimenting with DSB PSK for the last few weeks. Sure, you are using twice the needed bandwidth, but in this mode that means you are using only an additional 31 HERTZ! That's not a lot. 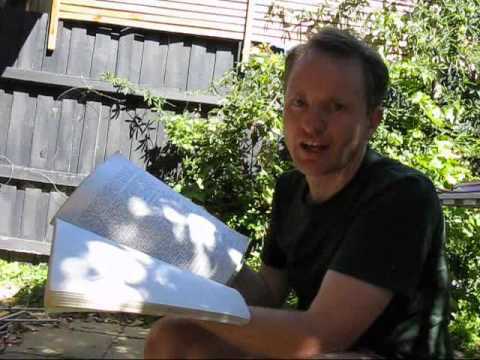 Also, if (as I am) you are using a Direct Conversion receiver, in your waterfall you will also be looking at two sets of frequencies -- those going about 2 kHz above center AND 2kHz below. 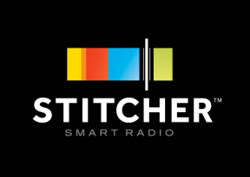 This helps you avoid causing interference: If the frequency looks clear on your screen, you can be reasonably sure you won't be bothering anyone with your extra sideband. 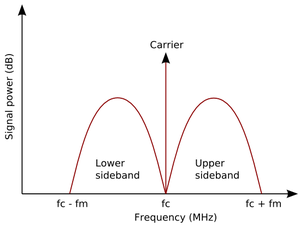 This is similar to the AM question: there too you are using additional spectrum. But it is allowed. 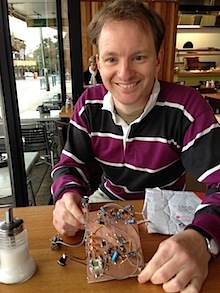 Doug DeMaw and other esteemed technical gurus have promoted DSB as a useful mode that -- through its relative circuit simplicity -- encourages the building of homebrew gear. DeMaw wisely advised against using high power when running DSB. I've been having fun with PSK DSB. I've had many contacts. I'm running less than one watt to a dipole. One curious thing that I've noticed: PSK seems to be sideband independent: When I tune in a PSK signal on my FLDIGI waterfall, the software will decode it even if I have the FLDIGI set for LSB or USB. You might also want to try JT-65. Glad to hear that I'm not alone. Center Glad to hear that I'm not alone. I think I’ve finally earned the right to contact you. I have a really severe case of the knack. I did not realize it until I discovered amateur radio. My thinking is that there is no hope for those afflicted with the knack. I believe that amateur radio helps those afflicted to deal with the condition. It alleviates the symptoms. For years I wandered through the technical wilderness dabbling in physics (I have a M.Sc. in Nuclear Physics), aircraft (I was a tow pilot at a gliding club for several years), high power rockets (www.napas.net), electronics and amateur radio. The most enjoyable part of radio is not the QSOs it’s the building and the satisfaction of a working device. I am relatively new to amateur radio but I’ve always had a passion for all things electronic (and technical). I am a self-taught electronics geek and have been playing around with digital electronics (PIC microcontroller) for some time know. I starting building altimeters for high power rockets that has the capability of setting off onboard charges to separate the rocket. When your rocket reaches 10,000 feet, you cannot open a chute at apogee because it’s going to drift too far and you need to open the rocket at apogee (no chute) and then open the main chute at about 1000 feet to minimize drift. I routinely travel to the US to attend LDRS (large dangerous rocket ships). Anyway I had to get my amateur ticket for onboard video camera and trackers (beacons). Once I got my license and got into radio, it was like a drug!! I am now home brewing everything in my shack. 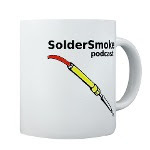 When I came across Soldersmoke that was like a super drug. I downloaded and listened to EVERY episode (seriously!). I followed you and Mike’s journey and I learned soooo much. I was devastated when I found out about Mike. You inspired me to build my own transmitter. Earlier this year I built a 20m CW transmitter for my rocket that will eventually send telemetry (in CW from a PIC microcontroller) completely from scratch – no kits – no one’s design. Your early episodes also pushed me to learn LTSpice which I used extensively to model transmitter design of others as well as my own. I’m thinking of calling the transmitter “kaputnik”. My design is based on a Chinese AD9850 DDS module which generates a square wave followed by a class E amp (with a tuned circuit). Puts out 1 watt of power with harmonics down by about 40db. The reason I used this module with that I can easily change frequency (with mod to tuned circuit) – after all the DDS module is programmable. All I need to do now is clean up key clicks because the carrier is turning on too fast. I playing around with slowly increasing the bias on the mosfet to allow the power output to increase slowly. Any advice/tips/tricks would be appreciated. Next project is a remote antenna switch. However, you have me close to tackling a SSB transceiver. Anyway, keep up the great work and I’m looking forward to listening to another 150 episodes!! Take care and “stay thirsty” my friend. No, an Arduino shield is not something that will protect you from Arduinos. Resistance IS futile! In the world of microcontrollers, "shields" are, in essence, PC boards with headers that allow you to stack them atop the main microcontroller board. So instead of the digital rat's nest of wires that you see in my proto-board version of the DDS signal generator, we'll have the AD9850 board mounted above the Arduino on its shield. But take heart, my fellow luddites: I have left a lot of space on the board for the construction of a DISCRETE COMPONENT, ANALOG, NON-DIGITAL amplifier. I'd like to get the output from the 9850 up to around 7 dbm. -- SolderSmoke's WWV Advertising Campaign! -- Bands Better -- Working DX! -- SolderSmoke Book Corner: Hollow-State Design! Getting Started With Arduino! -- Massimo Banzi has THE KNACK! Pretty impressive for a guy whose previous project was a crystal controlled DSB transceiver, don't you think? They say that variety is the spice of life, and the Arduino board has been adding quite a bit of spice to my tech life lately. That tiny board up above the proto board is the six dollar DDS-9850 board -- it arrived in an envelope from Shenzhen, China last week. I hope to connect it to the Arduino and the LCD to make a sig generator or VFO. I think the really cool thing about this is the "self echo." Listen carefully when the operator in the video turns it over to the G station. At first I thought they were doubling, or perhaps another station was on frequency. But then I realized that when he releases the push to talk, the first signal he hears is his own signal, bouncing back from the Moon! c is real! It's ugly but it gets you there. I finally got the little 30 meter DSB/Direct Conversion transceiver that I built in Rome working on PSK-31 and JT-65. It features a VXO circuit from George Dobbs, an AF amplifier designed by Roger Hayward, and an RF amp chain designed by Peter Parker. It produces about 1 watt of RF. At first I was manually switching the rig from transmit to receive, but this got old real fast, so I built a little VOX circuit -- the AF from the sound card does the switching. Last night I fired it up on PSK-31 and stations were calling me (including one fellow in Cuba). 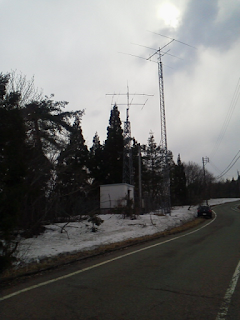 Then I went to JT-65 and had a complete QSO with KT1B. Another this morning with K0ASK. It is kind of fun to combine the simple (this rig) with the complex (the computer and these digi modes). I find that I can work both JT65 and PSK 31 while keeping the VXO at 10.139 MHz. My six dollar DDS board hasn't arrived yet, so this weekend I worked on the re-build of the 30 meter Direct Conversion/DSB transmitter that I built in Rome (originally for WSPR use). I was hoping to use this rig to make at least a few PSK-31 contacts. But I started seeing these strange looking sigs in the waterfall. I found out they are JT65 (JT for Joe Taylor). So I downloaded the program JT65-HF. I got the receiver going very quickly (it is a 40675 dual gate MOSFET followed by the audio amplifier out of Roger Hayward's Ugly Weekender RX). The transmitter is just a two diode singly balanced modulator followed by the RF chain from Peter Parker's Beach 40 Rig. QSOs seem imminent. I was at the workbench this morning, working on a 30 meter DC/DSB transceiver. I had the Barebones superhet tuned to white noise on 17 meters. Then I heard a strong CQ that sounded like DX. It was Ely, JH0JDV. He was the only signal on the band. We had a very nice contact, no problems at all. I was running my normal 10 watts to a dipole. Afterwards I Googled him. Wow, he has a REAL radio shack! FB Ely! 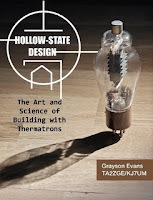 Save 20% on "Hollow-State Design" and "SolderSmoke"!